Colon cancer can cause a big impact in a person’s life, especially if they have lived a healthy life up to the point of diagnosis. This specific type of cancer can cause unpleasant symptoms and, when diagnosed at a late stage, may even result in a colostomy – resulting in an invasive surgery that requires the colon to be connected to an alternate route in order to create a pathway for waste to exit the body into a stoma bag. The American Cancer Association reports that, when colon cancer is diagnosed at a late stage, the treatment options may cause unpleasant side-effects to occur, such as stoma irritation, colon constipation, less control of bowel functions, a negative impact on fertility and more. Considering these facts, it becomes clear that knowing about the signs of colon cancer in order to detect and diagnose the problem at an early stage is essential. 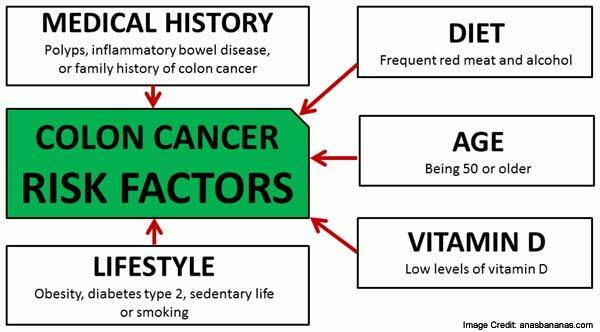 Knowing about the risk factors and ensuring you do not avoid them becomes even more vital as this may help you avoid the cancer completely. Blood that appears in stool. 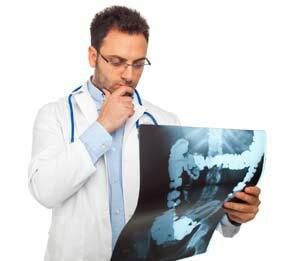 Looser stools and having more frequent bowel movements, sometimes accompanied by abdominal pain. Bloating or discomfort that is always present after eating. Many people often forget just how important physical activity is for their health and find themselves sitting in front of the television or their computer for long periods of time. A sedentary lifestyle has many negative effects on the human body’s wellbeing and may also lead to an increased risk of developing colon cancer. Oxford Journals report that physical inactivity has been linked to a larger risk of colon, lung and endometrial cancer. While a small amount of excess weight might not seem to be too bad for us, it can still cause numerous health conditions to develop in the body – especially if the excess fat sits in the abdominal area. According to the National Cancer Institute, being overweight can increase the risk of developing certain types of cancer by as much as 40% – including cancer of the pancreas, kidneys, breasts and colon. Not getting an adequate amount of sleep has been linked to different types of health conditions, including chronic fatigue, diseases and even a higher risk for some cancers. A study published on Science Daily monitored the connection between a lack of sleep and cancer. They found that individuals who did not get at least six hours of sleep per day had a significantly higher risk of colon cancer than those who did. Smoking is a harmful substance that can have a large impact on a person’s overall health, as well as cause damage to their lungs. Everyday Health reports that smoking does not only cause damage to the lungs, but due to the carcinogens that are found in cigarettes, the entire body can be effected. They continue to explain that smoking can, in fact, also increase a person’s risk of developing colon cancer. When it comes to determining the risk of developing cancer, people often consider their age and their own medical history. This often leads people to focus on risk factors that they cannot physically change and turns their focus away from the risk factors they can change. While it is important to know about your family’s history of cancer and to consider your own medical history, it is just as important to focus on things that you can physically change in your own life to lower your risk of colon cancer. Many people follow an unhealthy diet, which causes obesity and many other health risks. Everything we consume needs to travel through the colon in order to be passed out of the body, which means our daily diet has a direct effect on the colon. Cancer Research UK reports that it is estimated that around 10% of cancer cases are at least partly caused by an unhealthy diet. While fiber is an essential part of any healthy diet as it helps to keep the digestive tract healthy, it is not an element that means we can eat anything. Many people tend to think that a fiber-rich diet means any kind of food can easily be processed by their body. This is not true. You need to make sure you include an adequate amount of fiber, as well as numerous other nutrient-rich foods that promotes your health instead of harming your health. Being screened for cancer within the colon might seem like something embarrassing, but it should not be something that gets delayed consistently. Being screened for cancer in your colon can help doctors determine if adenomas or polyps are developing in the colon, thus providing an opportunity for these growths to be removed before they turn into cancer. Colon cancer, just like other types of cancer, can have a large impact on a person’s life. This is especially true when the cancer is invasive and the patient needs a colostomy in order to get rid of cancer. These can, however, be avoided by knowing about the risk factors and making small adjustments in your lifestyle in order to avoid these risk factors.